What better way to celebrate Obama's voyage to Ghana than with free chocolate? We love chocolate. And FREE chocolate. There's nothing better. NOTHING. Calling all Washington chocoholics! 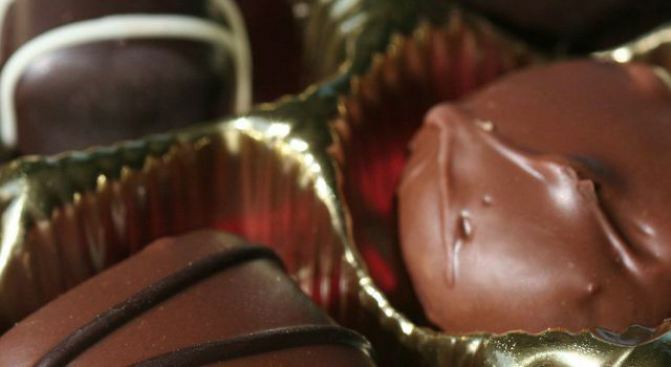 This Saturday and Sunday, treat yourself to some free chocolate. Divine Chocolate, a fair-trade chocolate brand co-owned by cocoa farmers from Ghana, is celebrating President Obama’s trip to the nation by providing D.C. residents with complimentary chocolate samplings. The chocolatiers' mission is to improve the livelihoods of West African cocoa farmers through fair trade. Get your free Divine Chocolate sample at Hill’s Kitchen (713 D St. S.E. ), Greenworks (660 Pennsylvania Ave. S.E.) and/or Biagio’s Fine Chocolate (1904 18th St. N.W.). If you end up going to all three, we won't tell on you. Just don't mention to anyone else you saw us at all three, too.